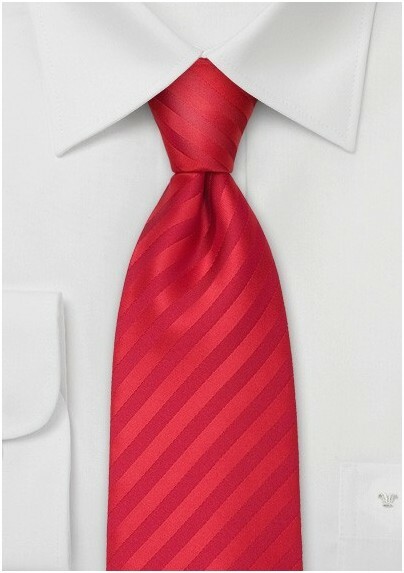 Your son will love this bright red necktie! It looks perfect with navy, grays, and blacks, and will be a perfect formal accessory for any season. 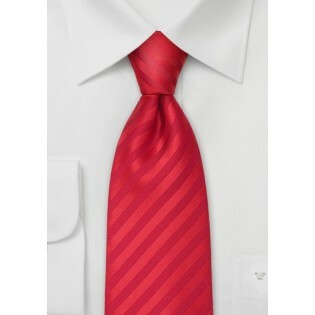 We at Mens-Ties.com also carry this tie in regular length - now father and son can dress in matching red ties. This tie is especially made for kids. It is 47 inches long and will be right for any boy up to 11 years old. It is made from microfiber - a stain resistant fabric that looks like silk but is much more care-free.